The outdoor “Mise en place”. Everything in order and in one place. 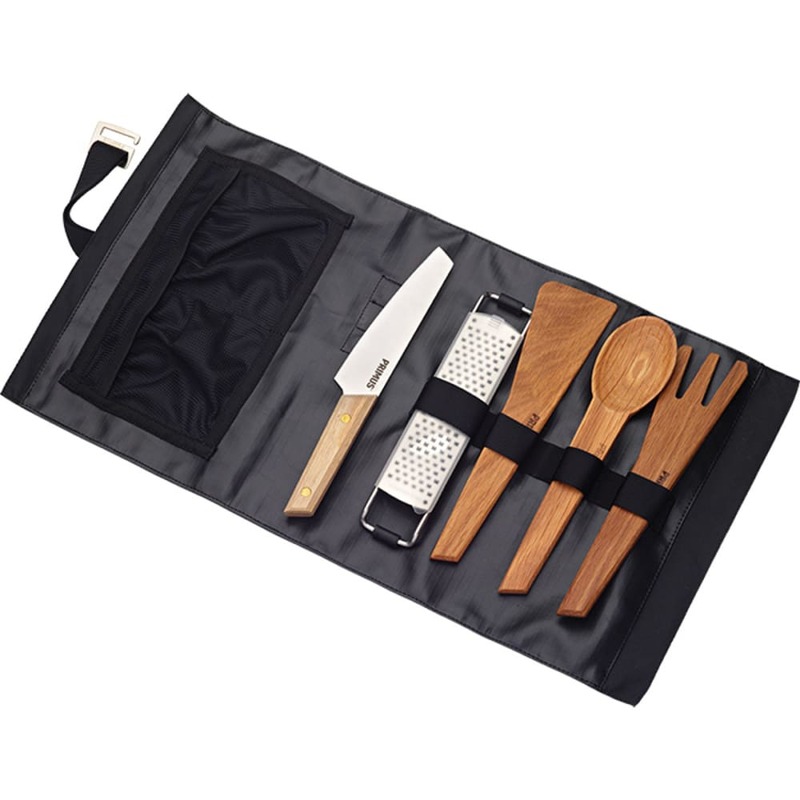 A utensils set in polycotton with all the necessities to prepare a great meal in the outdoors. The set has a pocket for additional accessories and can be used rolled out on a flat surface or hanging. Once the cooking is done put the used tools back, wrap it up and take care of it when at home.